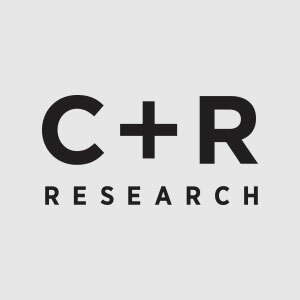 C+R Research spent last spring and summer conducting market research with Google Glass. In this webinar, we will share our insights and experiences on using Google Glass as well as some alternative wearable devices that you can leverage in qualitative research. If your marketing does not include a digital experience, your strategy will eventually miss the mark, especially among Hispanics. In honor of National Hispanic Heritage month, join Jorge Martinez to discuss the important Hispanic market. Whether you're goal is inspiring innovation, adding power to your promotional plans, or ensuring that your stories are "au currant," it's critical for youth marketers, researchers and content creators to go beyond their knowledge of the "now" when it comes to youth culture. We take a deep look into the importance that Hispanics place on Mother's Day, how they celebrate it in the U.S. and the similarities and differences across acculturation levels. Testing Early Stage Creative: Here's How to get it Right. And Get it Right Now. Join us for a supercharged methodological overview of C+R Research's CopyIQ, an innovative online qualitative and quantitative approach to evaluate creative that cuts time, cost and uncertainty out of the process. How has this omni-channel retailing and marketing impacted shoppers? In this webinar, we provide you with a beacon for navigating your shoppers' journey. Are you looking for new approaches and techniques to impact your online qualitative research project? We give an in-depth look at the latest technology, tools and trends for online qualitative.